White prairie skirt with tiers of white fabric and lace-style appliqué. 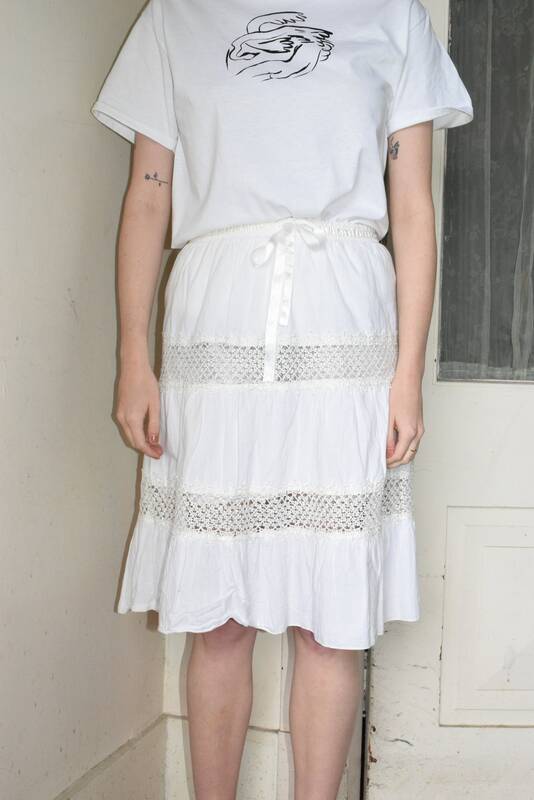 Skirt is lightweight, mid-length, and has a small slip built in inside. 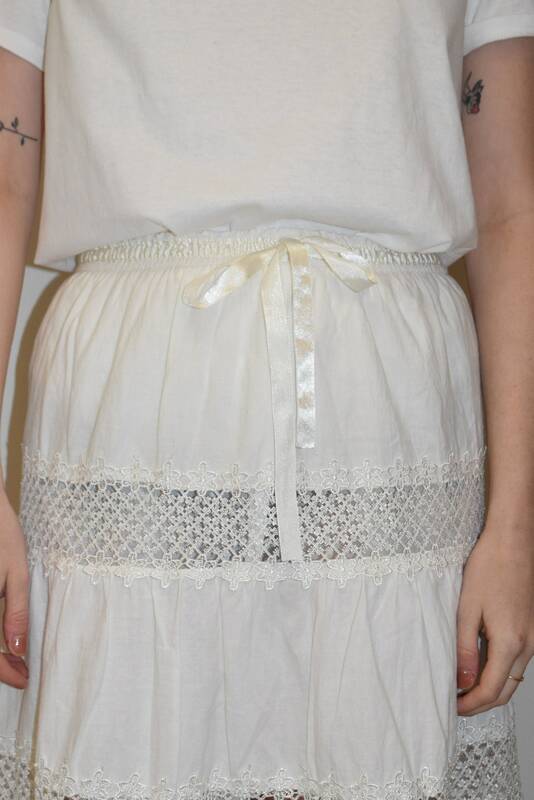 The small tiers of lace are slightly see-through. Skirt has an adjustable elastic waistband that ties at front with a pearly white ribbon. 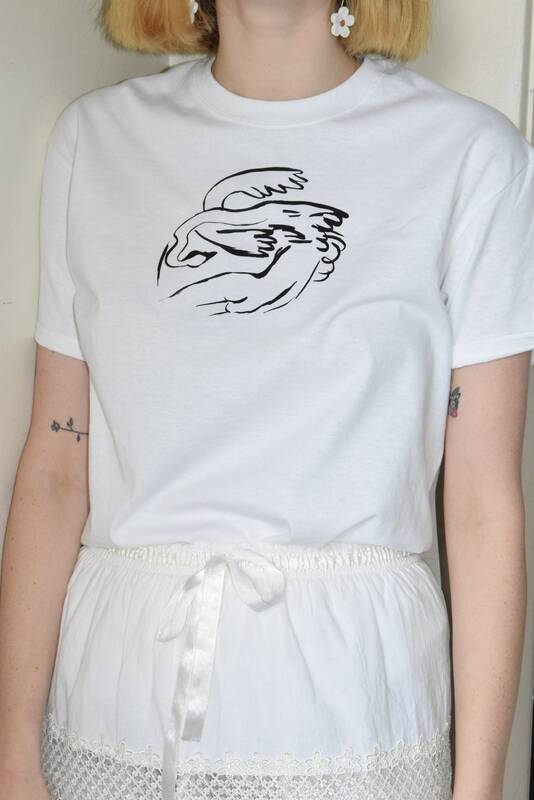 Shown in pictures worn with our Leda tee in white. Waist un-stretched 26" || Waist stretched 40" || Hips 42" || Length 25"